Whether your toilet is overflowing or the kitchen sink is backing up, clogs are inconvenient, messy, and often hazardous, our team at Bob Oates Plumbing, Sewer & Rooter offers effective, professional drain cleaning solutions that can be completed without causing damage to your landscaping or infrastructure. With our minimally invasive and fast techniques, costly plumbing repairs that leave your property in disarray are no longer required. At Bob Oates Plumbing, Sewer & Rooter is proud to provide the Seattle area with premier plumbing solutions at the most competitive prices. As a leading plumbing company in the area, we offer the best trenchless drain cleaning methods to your residential or commercial property. Whether your own a home or business, or both, you’ll appreciate how quickly and efficiently we can get your pipes flowing smoothly again. What Happens During Professional Drain Cleaning Sessions? 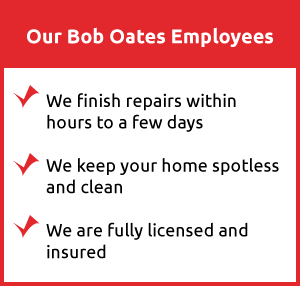 At Bob Oates Plumbing, Sewer & Rooter, we avoid harmful chemicals and make sure that our team is fully qualified and trained to use snaking tools safely. Liquid drain cleaners provide a temporary solution and contains chemicals that eventually damage the inside of your pipeline through repeated use. Likewise, attempting to snake your drains yourself could prove disastrous if you use the wrong kind of snake or you break or fracture a pipe. Professional drain cleaning services are methods used by expert plumbers to thoroughly clean the inside of the pipeline. Our professional services do not result in damage to the pipeline or drain. At Bob Oates Plumbing, Sewer & Rooter,, we specialize in rooter services, also known as professional drain cleaning, and only perform safe methods that provide lasting solutions, without damaging your property or pipes. Before we do work on the drains at your property, we perform a professional inspection to determine the underlying cause of the clog. The inspection allows our technician to recommend the best solution for your plumbing issue and pinpoints the location of the clog. At Bob Oates Plumbing, Sewer & Rooter, we use a small camera with hi-resolution capabilities to take a detailed look inside your pipes. After the inspection, the technician will recommend the appropriate way to handle the drainage issue. Drain cleaning methods vary and include traditional snaking, power-rodding, and high pressure water jetting. High pressure water jetting is one of the most efficient and popular methods. What is High Pressure Hydro Jetting in Washington state? Hydro jetting is one of the safest and cleanest ways to clean a drain. It involves flushing the pipeline with a pressurized, high-powered stream of water. The water used during hydro jetting is powerful enough to cut through even the toughest of clogs, including tree root infiltration. During hydro jetting, a hose connected to a water tank and pressurizing machine is inserted into an existing access point to the plumbing. This existing access point is called a cleanout and is how we avoid damage to the surrounding property, while performing hydro jetting. After the water is pressurized, the technician turns it on and blasts it through the pipe, effectively clearing anything in its path. Our technicians are trained to be able to control the speed and pressure of the water, carefully adjusting it to handle the clog at your property. We employ highly skilled drain cleaners and equip them with state of the art tools to ensure we get the line open every time. We are able to clean, cable or jet most lines. We also equip every truck with a state of the art camera inspection system and locating tools so that we can catch issues before they become emergencies. We recommend high pressure water jetting whenever possible, but can perform more traditional drain cleaning solutions, such as snaking and power-rodding. We never encourage our clients to attempt to snake their own drains, because using the wrong snake can result in serious damage to the pipeline. At Bob Oates, we employ the use of different snakes to handle different jobs appropriately. Similarly, power-rodding involves putting a device into the drain to clear the clog. Unlike snaking, which pulls the source of the clog out or dislodges it, power-rodding uses small razors attached to the end of the rod, or snake, to cut through and break up clogs. Each of these drain cleaning methods has its benefits and can be used to eliminate tough blockages. How Often do the Drain Lines in my Home Need to be Cleaned? At Bob Oates Plumbing, Sewer & Rooter, we recommend routine maintenance and inspections to all of our clients. The best way to avoid clogs and other plumbing emergencies is by regularly checking pipe conditions. All of the pipes in your home will eventually need maintenance, but routine cleanings and repairs can mean the difference between standing knee-deep in water and enjoying an uninterrupted schedule. Over time, hair, grease, and debris build up, resulting in recurring clogs. Drains easily turn into catch basins for anything that shouldn’t be inside the pipeline. As debris snowballs, it becomes tougher and harder to break through. In addition to foreign objects going down the drain and greasy buildup, tree roots can break through pipes and create clogs that are extremely difficult to remove. Slow draining, backflow, overflow, and odor are all signs that a drain is clogged and could benefit from a professional inspection and cleaning. 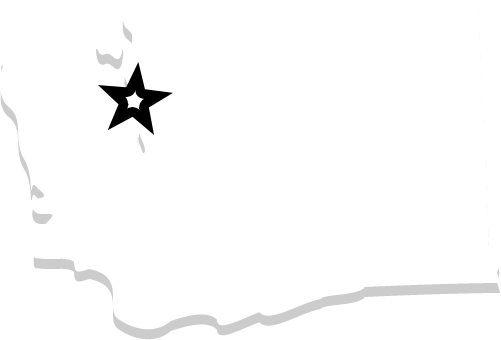 Bob Oates Plumbing, Sewer & Rooter is proud to be a leading provider for rooter service in the greater Seattle area. All of our technicians are subjected to rigorous background checks and expertly trained by the owner of the company to ensure that we provide consistent superior service. When you’re in the market for the most innovative and effective plumbing solutions, we’re the smart choice, and our reviewers agree. 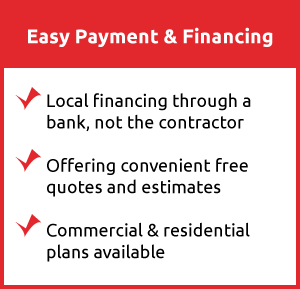 At Bob Oates Plumbing, Sewer & Rooter, we promise the most advanced solutions accompanied by professional service and unbeatable pricing. If you’re plagued by repeated clogging at your property or you’re experiencing backflow or odor, call today for a free quote. We’re on hand for after hours and emergency service. When you call during business hours, we can be out to your property within the hour, so don’t hesitate to give us a call. We look forward to assisting all of our customers across Seattle, Washington, and assisting them with their cleaning services.